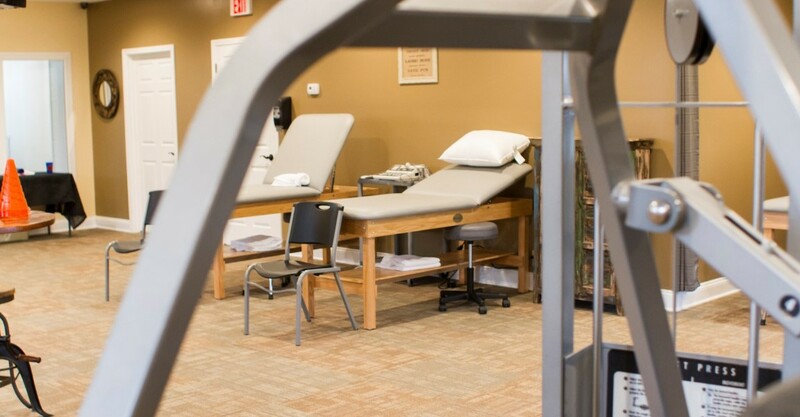 Here at Impact Therapy, we want to make sure you are fully recovered and better than ever. 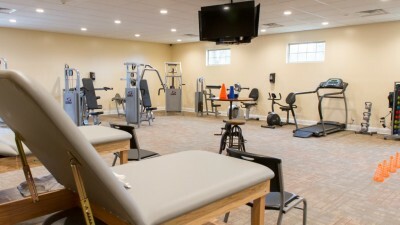 To help accomplish this, we have traditional physical thereapy, but we also offer Aquatic and Wellness therapy. We have a purpose built swimming pool to make the aquatic therapy easy yet effective. The aquatic area is very clean and crisp area that has a 4 ft deep pool that is heated to 92 degrees. Inside the pool there is a deep well that is 6 ft deep also there are 2 Badu jets for added resistance for walking or running as well as swimming in place. 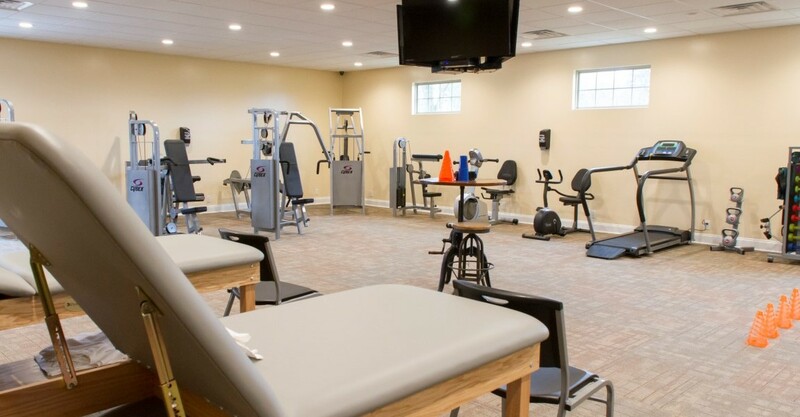 The newly built facility is 2800 sq ft that has a spacious gym for treatments and several tables for manual treatments as well as the standard equipment for therapy and recumbent bikes. 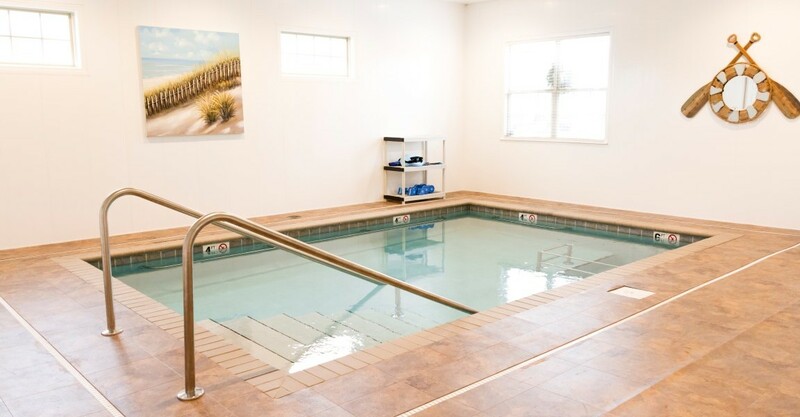 The one feature that sets us apart is the indoor Therapy Pool. Can I choose what clinic to go to? Yes it is 100% your choice in which clinic that you choose for your therapy needs. Do you offer a wellness program after my therapy is over? Yes check with us before your therapy is over for details. 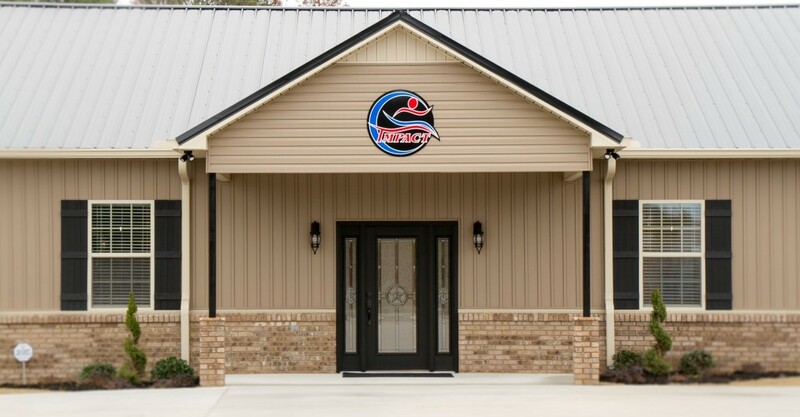 Can I fill out my paperwork before I come in? Yes go to the new patient forms and Print them and have them completed before arriving. We would like to be notified 24 hours before canceling or rescheduling your appointment. Do you treat cash pay patients? Yes, sometimes with high deductibles it will work out cheaper being a cash pay patient. We accept all major insurances. If you have questions . please give us a call. Will you document my visit and report to my Doctor? 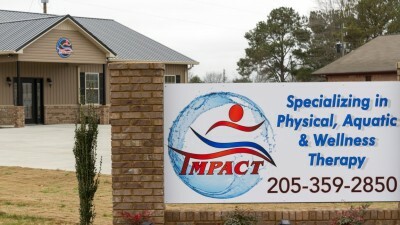 Yes you will need a prescription or referral from your doctor for physical therapy. What should I wear to my therapy visits? The first appointment will be your longest ranging 60 to 90 minutes. The treatment visits will usually range 60 minutes give or take depending on treatments.